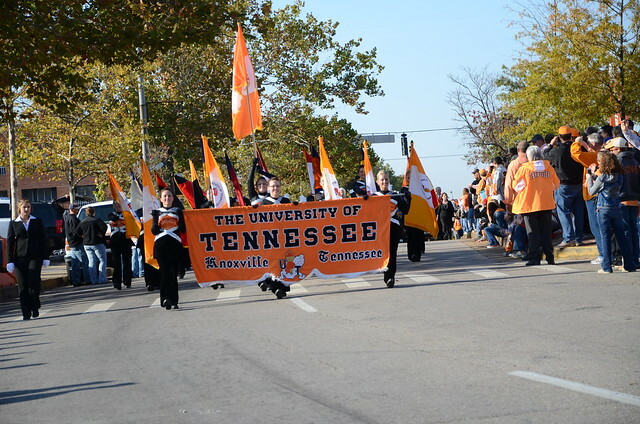 Mitch and I both graduated from the University of Tennessee in Knoxville. 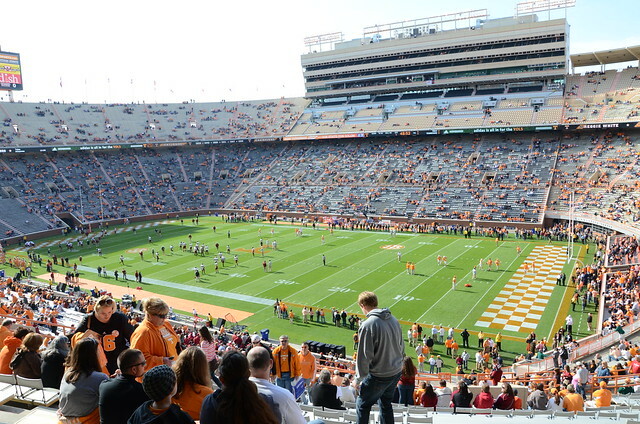 We have made it back for a few football games over the years, but have never taken the kids. We decided they were probably old enough to enjoy a game. So this weekend we took them to their very first game. We all had a blast. 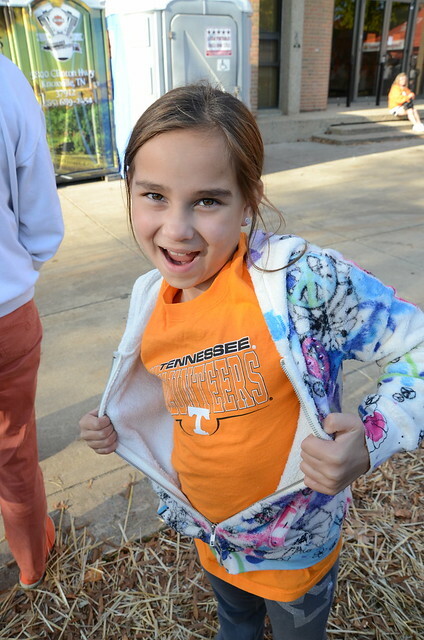 Here's Harper sporting her new UT shirt courtesy of her Grammie. 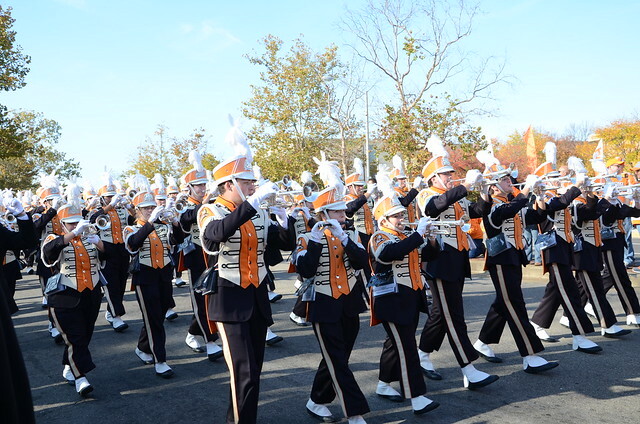 We got to Knoxville early enough to see the band make its way to the stadium. We walked around a little bit before the game. 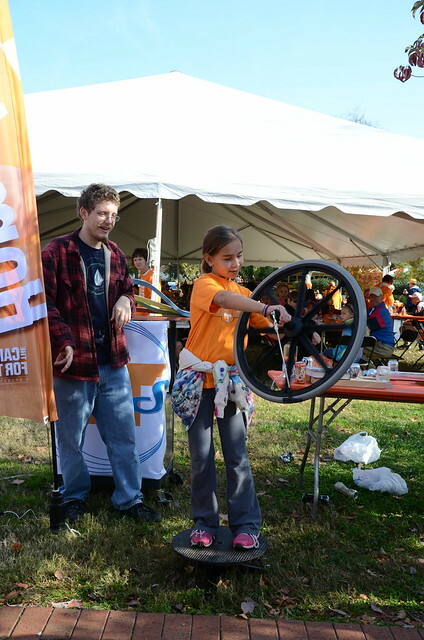 Harper was able to participate in a demonstration by the Physics department. 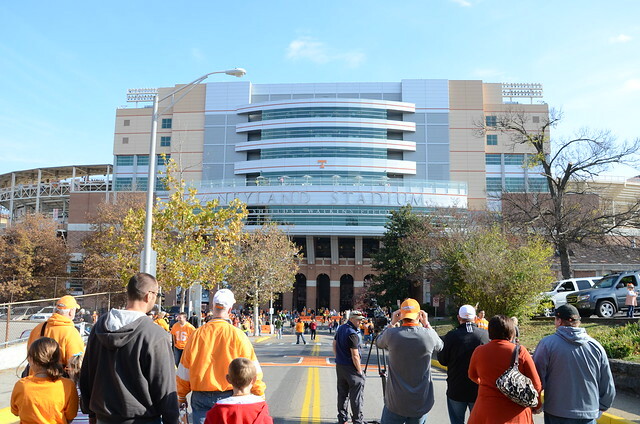 Then we made our way to Neyland Stadium. The day started out a bit cold, but warmed up as the day went on. We all had a great time. I was surprised that the kids never did get bored at the game. That is awesome. We used to go to the Army Navy game back east every year. It was one of the thing we always did as a family and we had such fun memories of it. Our boys are just staring to get into watching sports. Now we need to take them to an actual game. FUN! We wanted to take the girls back for a Univ of MI game too...but didn't get back there this year. Maybe next year? I like the idea of an annual tradition!